Honda juniors Nirei Fukuzumi and Tadasuke Makino will not return to Formula 2 next season and will instead race in Super Formula, Autosport understands. Fukuzumi and Makino have been placed with the Arden and Russian Time teams respectively in the Formula 1-supporting category this year, with Fukuzumi combining his F2 role with a Super Formula campaign in which he drove for Mugen. Formula 3 European Championship graduate Makino has so far been the more successful of the pair and earned a feature race win in Monza. He currently sits 13th in the points, four places higher than Fukuzumi. But Honda has decided that neither driver will return to F2 next season. Makino will join Nakajima Racing in Super Formula next season, possibly alongside Betrand Baguette, who raced for the team in Super GT this year. Fukuzumi is set to race for Dandelion Racing alongside this year's Super Formula champion Naoki Yamamoto, who is set to move across from Mugen. It's understood ex-F1 racer Narain Karthikeyan will not return and will switch his focus to Super GT next season. 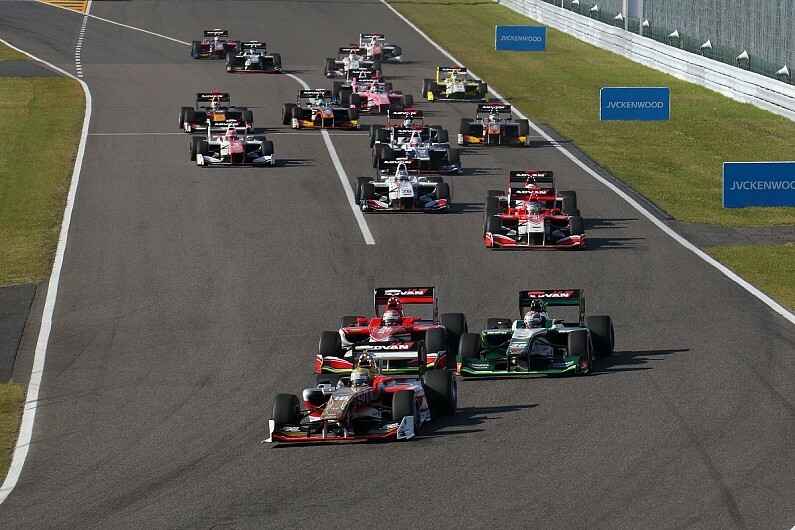 Dandelion fielded Nobuharu Matsushita and Tomoki Nojiri in Super Formula this season. Matsushita recently told Autosport he wants to return to F2 after completing his rookie Super Formula campaign this year. It is believed he is now working independently of Honda to land a drive in the category where he raced from 2015-17 with ART Grand Prix. Nojiri will join Mugen in a direct swap with series champion Yamamoto. It is also understood that Mugen will continue to field one car in Red Bull colours next season after Fukuzumi carried the Austrian firm's famous branding this year. B-Max Racing, which has entered into a partnership with F3 stalwart team Motopark, will run two Honda-powered cars, including a single entry in Red Bull livery, but it is unclear who will drive this. Red Bull junior Dan Ticktum will not be part of the team and is likely to head to Mugen. Ticktum has already made two Super Formula starts for Mugen this year, replacing Fukuzumi who had to prioritise his F2 commitments for Arden when the two championships clashed.